October 2017 – Behavior Matters! We live in an ever-shifting world. The corporate environment is not immune to this evolution, nor should it be. As such; the processes and strategies that impact the human element of all organizations, it’s employees, must ebb and flow with this shifting tide. Progress and improvement come from change and adaptation to change. There are speed bumps, there are steps backward: these are all part of the process. Embedded throughout these organizational processes are employee communications. 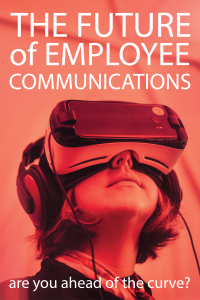 Employee communications must stay current and ahead of the curve.